The body is a unit, though it is made up of many parts; and though all its parts are many, they form one body. So it is with Christ. For we were all baptized by one Spirit into one body – whether Jews or Geeks, slave or free – and we were all given the one Spirit to drink. Now the body is not made up of one part but of many. If the foot should say, “Because I am not a hand, I do not belong to the body,” it would not for that reason cease to be part of the body. And if the ear should say,”Because I am not an eye, I do not belong to the body,” it would not for that reason cease to be part of the body. If the whole body were an eye, where would the sense of hearing be? If the whole body were an ear, where would the sense of smell be? But in fact God has arranged the parts in the body, every one of them, just as he wanted them to be. If they were all one part, where would the body be? As it is, there are many parts, but one body. The eye cannot say to the to the hand, “I don’t need you!” And the head cannot say to the feet, “I don’t need you!” On the contrary, those parts of the body that seem to be weaker are indispensable, and the parts that we think are less honorable we treat with special honor. And the parts that are unpresentable are treated with special modesty, while our presentable parts need no special treatment. But God has combined the members of the body and has given greater honor to the parts that lacked it, so that there should be no division in the body, but that its parts should have equal concern for each other. If one part suffers, every part suffers with it; if one part is honored, every part rejoices with it. Now go on out and spread some love! Kathi, This is another beautiful post, you just brought church to my heart! 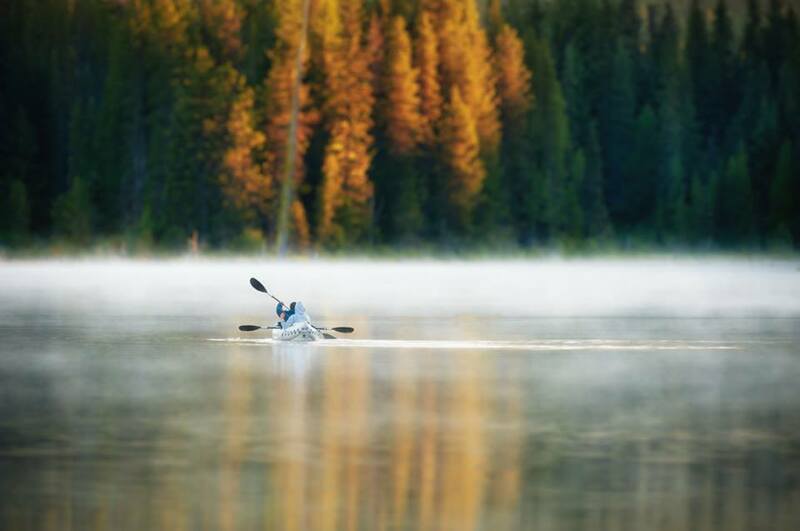 My aging eyes had me seeing Jesus paddling a kayak till I clicked to make image larger. I love to kayak, that image is otherworldly. Free roses! Video brought me to tears, it reminded me when I was a struggling single mom and Jesus showed up in a couple to buy my groceries. I knew then that I was called to bless, be it in a smile, a kind word or helping someone financially. We are His hands, feet, ears, eyes called to a hurting world. Forget all those doctrines & rules. Gail – You’re too sweet! “Forget all those doctrines and rules.” Amen! My husband caught this photo on Trillium Lake on Mt. Hood. It’s a very pretty area – not that I’ve seen it in person. My husband gets up way too early for my taste to gets pictures like this! “Forget all those doctrines and rules.” Amen! Kathi, What a beautiful post! Thanks so much for this Sunday gathering. I will feast on it during the week! Beautiful photo and the time that you spent to do this for all of us, and to help Julie Anne, once again!